Garden Party - change of address to WILDERNESS PARK!!! Hello South Bay nature lovers! 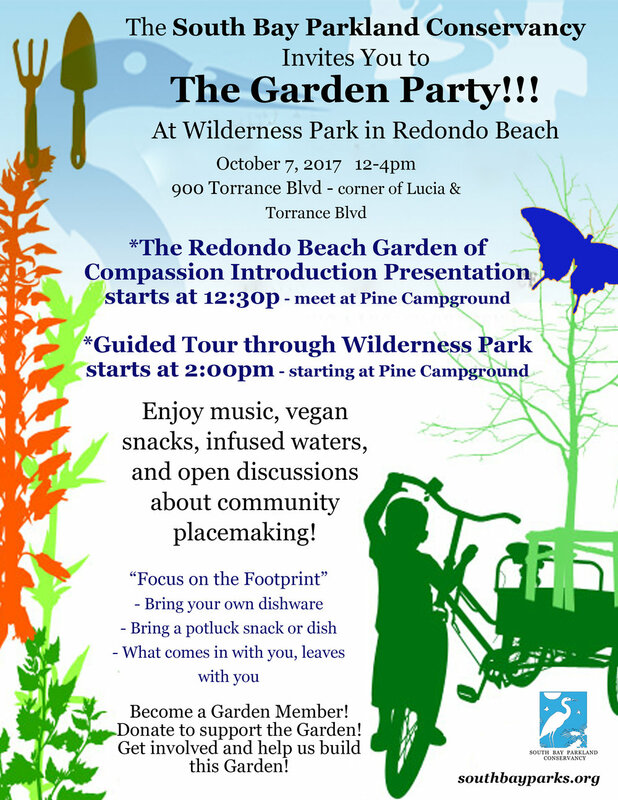 We have changed the location of the Garden Party to be held in Wilderness Park in Redondo Beach. 1102 Camino Real!